I finally did it! 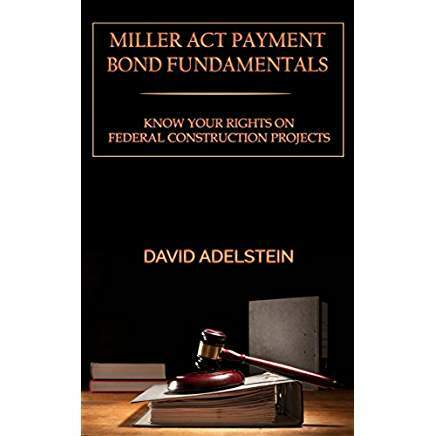 I wrote an ebook on the fundamentals of Miller Act payment bonds. A nuts and bolts approach focusing on the practical application of Miller Act payment bonds. It is currently on Amazon, Nook, and iTunes. If you are interested in Miller Act payment bonds, check it out. This entry was posted in Miller Act and tagged act, bond, ebook, fundamentals, miller, payment by David Adelstein. Bookmark the permalink.